A Thank You Letter is a letter of gratitude sent to someone who has been of help to us in some way or the other or has played a pivotal role in our lives and has helped us grow. 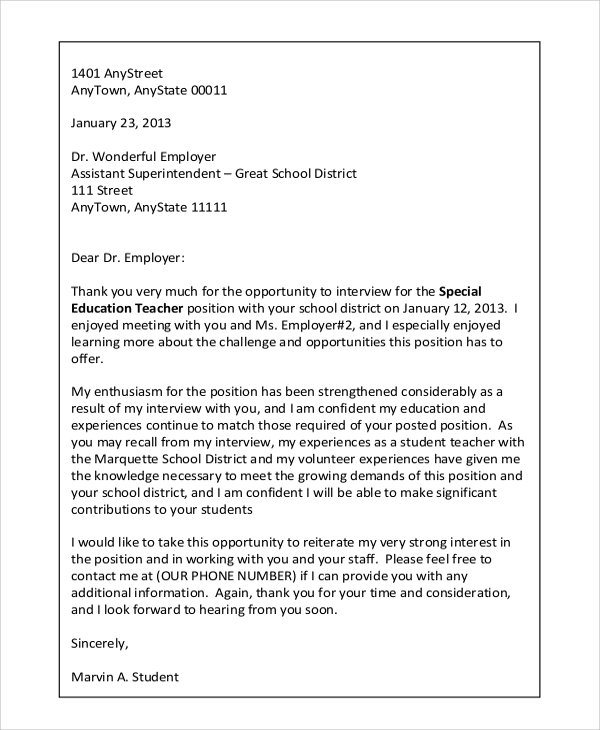 It can be sent to anyone including family, friends, teachers, employers, etc. A letter of gratitude is a way of showing one’s love and gratitude to someone who has been supportive and inspiring in our lives. 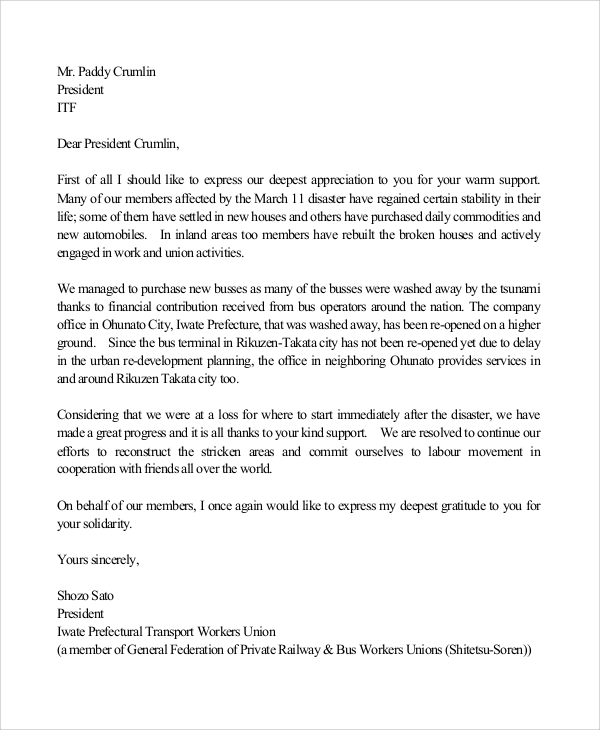 This is a gratitude letter addressed to the boss for being helpful and supportive to the employees working under his guidance and leadership appreciating his efforts directed towards his subordinates. This is a letter of acknowledgment and appreciation sent by the receiver of an award to the jury or the organization committee for the selection of the person as a winner and appreciating his work. This Appreciation Letter can be sent to anyone for showing their outstanding support and encouragement towards a cause or a person helping him or the cause in achieving momentum. 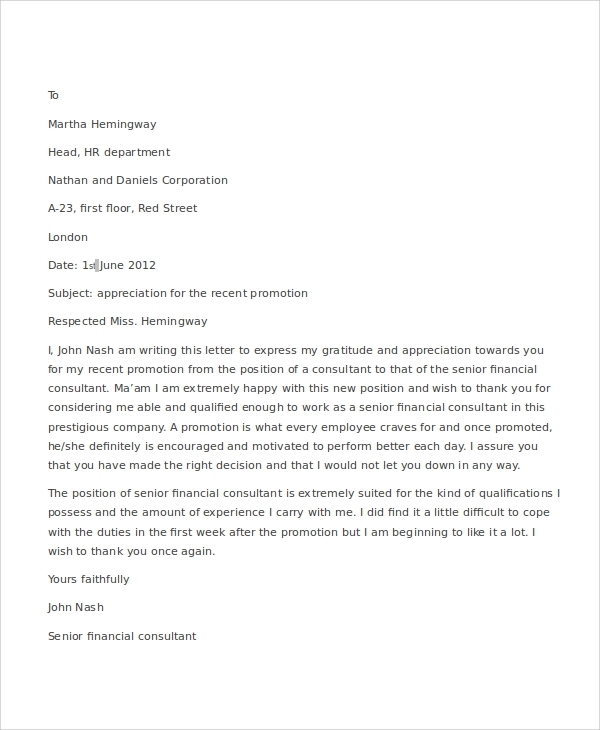 Why A Letter of Appreciation Important? A letter of appreciation and gratitude is important as it inspires the receiver to work more diligently and put in more efforts. A letter of gratitude and appreciation is an incentive for good work. It acts as a motivating key for employees, friends, relatives, teachers and people, in general, to work better as they know that their job has been well noticed and appreciated. Such incentives are a must as they drive people to work better and work more towards the cause of the society and towards the objectives of an organization. Appreciation is an award that is intangible in nature. You may also see Thank You Letter Samples. 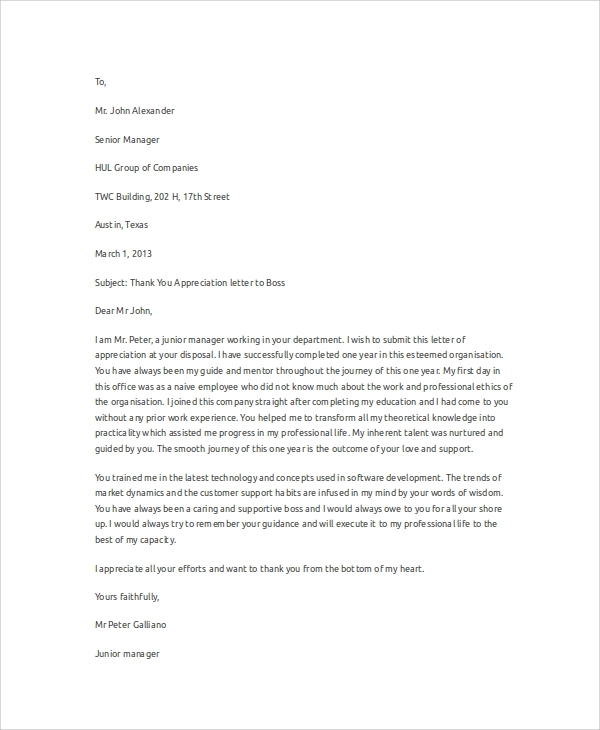 This is a formal gratitude letter sent to the employer by an employee as a thankful appreciation of recognizing his efforts towards the organization and giving me a promotion during the work. 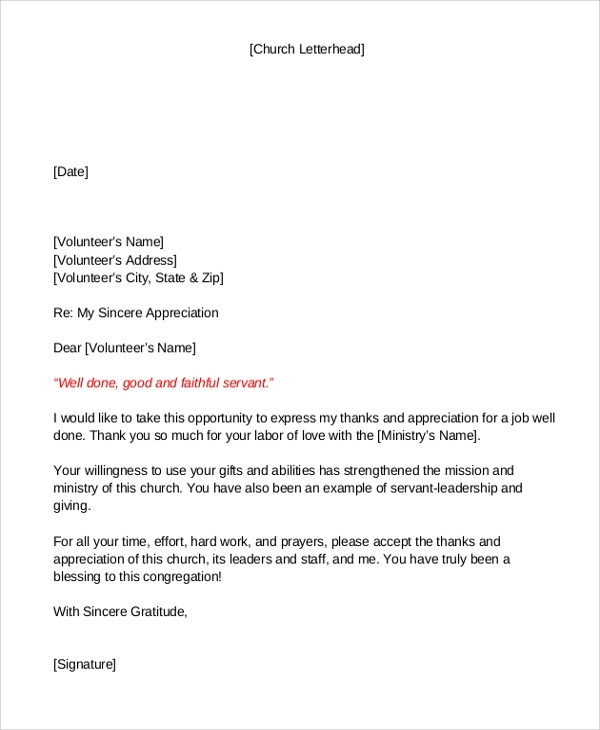 This letter of gratitude and appreciation is forwarded to an individual or an organization that has voluntarily come forward to support a cause or a set of people to help them achieve their goals. This Letter is Aimed at? A letter of appreciation and gratitude is not specific in nature and can be addressed to anyone. It can be both formal and informal in nature, depending on the person it is being sent to. A letter of appreciation and gratitude is an intangible award that one receives as a token of his good job or help provided to someone in specific or to an organization or a society as a whole. It can be addressed to anyone; friends, family, employer, a public figure, etc. for their outstanding contribution to something small or big done towards anyone in specific or to a group of people. A letter of gratitude or appreciation is aimed at acknowledging a person’s contribution to a cause or to a society. It is one way of showing respect, concern, and gratitude to someone who has been of help in time of need and has been supportive enough to come forward to help. 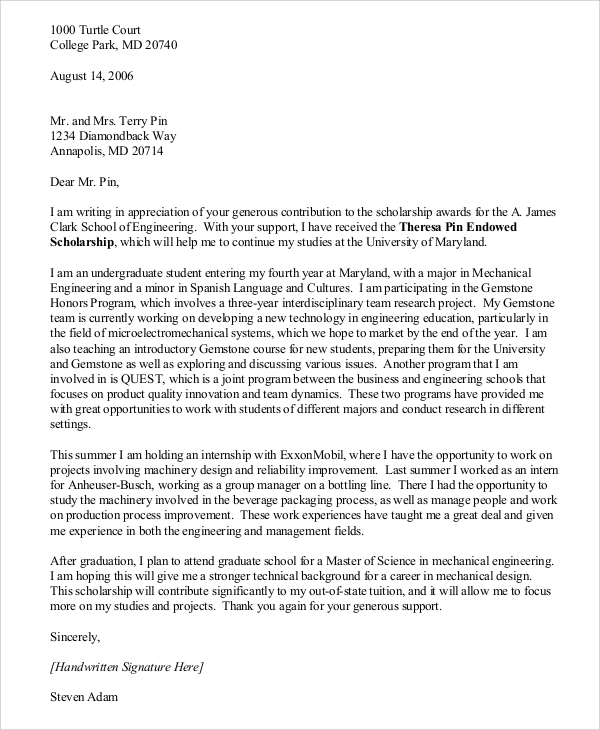 You may also see Thank You Letter Examples.